Because the New York City Department of Education classifies Martin as a “preschooler with a disability,” he receives yellow-bus transportation to his special-needs preschool, at no cost to us. The school bus—it’s a “short bus,” and now I resent the “short bus” jokes I made as a child—stops between 8:15 and 8:30 a.m. Our apartment is a fourth-floor walk-up. It can take some time to get distracted Martin down those stairs, so instead of waiting in the apartment, we try to have him outside by 8:12. Or so. You know how it is. Most mornings Adrian brings Martin down and departs for his office after the bus comes. If Adrian is traveling or has to leave earlier, I bring Martin down. There is a public elementary school on our block. It has two special-education classrooms but serves predominantly typically developing children. Between 8:00 and 9:00 a.m. those backpack-burdened pupils (who are not entitled to bus transportation; that’s different in New York City than elsewhere) walk past our building, alone or with their parents or guardians. Picture the scene: Martin and I wait within the small fenced area in front of our vestibule, while typically developing kids stream down the sidewalk, just outside the fence. They are a few feet away from us, but separated. Occasionally the metaphor overpowers me. I feel bad, with a physical symbol—a black wrought-iron fence, for crying out loud—demarcating our space from the path for typically developing kids and their parents. My solution is to open the gate and stand or sit, with Martin, on the curb where the gate would be if closed. The gate itself opens outward and therefore becomes an obstacle for the school children to circumvent. Tough. It’s hard enough to have a kid whose autism separates him from other kids. I don’t need an actual fence doing the same. I wonder: Does this seem strange, that I have to open a fence gate to feel better about our situation? 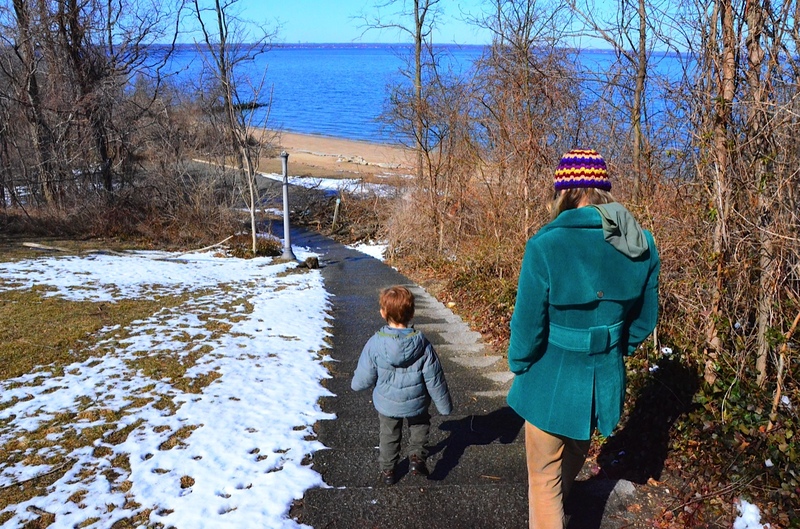 Martin and I head out into the open, looking for some fun as winter fades. Martin shows Adrian how he can write letters in the sand.